Good old vitamin C - plenty of which is found in oranges - made its name in the 1980s largely due to the efforts of two-time Nobel Prize winner, the late Linus Pauling. Part of that early excitement died with him. However, it may soon be back in the news. Maybe in an even bigger way. Vitamin C is an essential nutrient. It is required for a range of essential metabolic reactions in all animals and plants. It is produced internally by almost all organisms, humans being the most well-known among them. Its deficiency causes the disease scurvy. 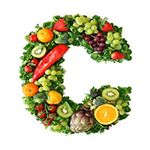 A study carried out by University of California, Berkeley, researchers found that supplementing with vitamin C reduces C- reactive protein (CRP), a marker of inflammation linked with an increased risk of cardiovascular disease and diabetes. The trial leader, Berkeley professor Emeritus of Epidemiology and Public Health Nutrition, Gladys Block, and team randomly allowed 396 nonsmokers to receive 1,000 milligrammes of vitamin C, 800 international units vitamin E, or a placebo for two months. They were measuring and tracking serum C-reactive protein levels during the treatment period. No effects for vitamin E were observed. There was also no effect for vitamin C among those with desirable CRP levels. However, for participants with elevated C-reactive protein (defined as 1mg per litre or higher), vitamin C lowered CRP by 0.25mg per litre compared to the placebo. This reduction is significant. "This is important; treatment with vitamin C is ineffective in persons whose levels of CRP are less than 1mg per litre, but very effective for those with higher levels," stated Dr Block. "Grouping people with elevated CRP levels with those who have lower levels can mask the effects of vitamin C.
"Common sense suggests, and our study confirms, that biomarkers are only likely to be reduced if they are not already low." She pointed out that a trial reported earlier this week in the Journal of the American Medical Association, which found no association between supplementation with vitamins C and E and the risk of stroke or heart attack, failed to screen participants for CRP elevation. This is an important determinant of those who might benefit from vitamin C.
In another recently reported study (the Jupiter trial), Harvard Medical School researchers showed that statin drugs reduced cardiovascular disease and death in individuals with normal lipids and elevated CRP. The trial found a 37 per cent reduction in CRP associated with statins compared to treatment with a placebo. "One of the strengths of the Jupiter trial is that only peoplewith CRP levels greater than 2mg per litre were enrolled," Dr Block remarked. "Researchers found very important effects of lowering CRP in people who had high levels to begin with." "Major studies have found that the level of CRP in the body predicts future risk of cardiovascular disease, including myocardial infarction, stroke and peripheral artery disease, as well as diabetes," Dr Block stated. "Some believe CRP to be as important a predictor of future heart problems as high levels of LDL and low levels of HDL cholesterol." Clearly, there is need for more study in this area. Some researchers have recently suggested that people with elevated CRP should be put on statins as a preventive measure. For people who have elevated CRP but not elevated LDL cholesterol, the data from University of California, Berkley suggests that vitamin C should be investigated as an alternative to statins, or as something to be used to delay the time when statin use becomes necessary. It is back to good old vitamin C. Nature wins again!